Below you fill find all funeral homes and cemeteries in or near Atascadero. 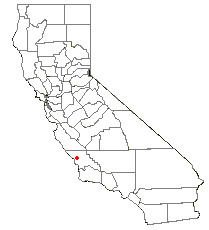 Atascadero is also known as: The Mud Hole and San Luis Obispo County / Atascadero city. Their current mayor is Mayor Tom O'Malley. Zip codes in the city: 93422, 93423. Atascadero has been featured in films like: My Blue Heaven (1990). Some of the notable people born here have been: Michael Stewart (american football player). It was written on August 20th, 2018 that Christian Jay Woodward passed on in Atascadero, California. Woodward was 43 years old and was born in Fremont, MI. Send flowers to share your condolences and honor Christian Jay's life. It was disclosed on June 3rd, 2018 that Mary Patricia Steppe (Hepworth) perished in Atascadero, California. Ms. Steppe was 92 years old. Send flowers to share your condolences and honor Mary Patricia's life. It was written by San Luis Obispo Tribune on February 7th, 2018 that Patricia "Pat" Bagby (Holland) passed away in Atascadero, California. Ms. Bagby was 83 years old. Send flowers to express your sorrow and honor Patricia "Pat"'s life. It was noted by San Luis Obispo Tribune on December 27th, 2017 that Betty Lou Ferguson (Pease) passed away in Atascadero, California. Ms. Ferguson was 87 years old. Send flowers to share your condolences and honor Betty Lou's life. It was written by San Luis Obispo Tribune on December 3rd, 2017 that Cory Breck Rodriguez died in Atascadero, California. Rodriguez was 26 years old. Send flowers to express your sympathy and honor Cory Breck's life. It was revealed by San Luis Obispo Tribune on November 29th, 2017 that John Noble Johnson (Scheoch) perished in Atascadero, California. Ms. Johnson was 86 years old and was born in Chicago, IL. Send flowers to express your sorrow and honor John Noble's life. It was reported by San Luis Obispo Tribune on November 7th, 2017 that Dale Allen Gehre passed on in Atascadero, California. Gehre was 83 years old and was born in York, NE. Send flowers to share your condolences and honor Dale Allen's life. It was revealed by San Luis Obispo Tribune on November 5th, 2017 that Keith R Gould perished in Atascadero, California. Gould was 83 years old. Send flowers to share your condolences and honor Keith R's life. It was noted on June 21st, 2017 that Troy Brian Higbee perished in Atascadero, California. Higbee was 55 years old and was born in Topeka, KS. Send flowers to share your condolences and honor Troy Brian's life. It was noted by Orange County Register on May 14th, 2016 that Jeanette "Jan" Schwartzkopf (Schweser) perished in Atascadero, California. Ms. Schwartzkopf was 86 years old and was born in Omaha, NE. Send flowers to express your sympathy and honor Jeanette "Jan"'s life. Nearby CA Highways 41 and 46 provide easy access to the Pacific Coast and the Central Valley of California. Thousands of acres of orchards were planted, a water system was installed, and construction began on an road (now Highway 41 west) through the rugged Santa Lucia Mountains to the ocean (Morro Bay), where Lewis built cottages and a beachfront hotel called the Cloisters. Location: [http://maps.google.com/maps?f=q&hl=en&q=6500+Palma+Ave,+Atascadero,+CA 6500 Palma Ave, Atascadero] This building was purchased by San Luis Obispo County in the 1950s as a Memorial Building. Bliss of San Francisco, construction was completed in 1918 at a cost of $180,000. In 1821, Mexico won its independence from Spain, and California became a Mexican province. 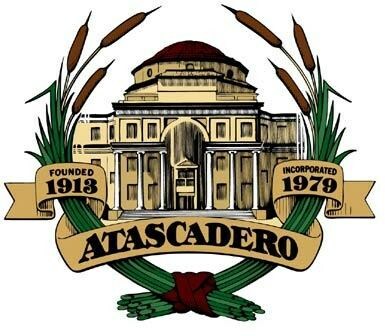 The official website for the city of Atascadero is https://www.atascadero.org/. Listing all funeral homes in Atascadero, California so you can easily send flowers to any location (same day delivery) or find any funeral service. Listing all cemeteries in Atascadero, California so you can easily send flowers to any location (same day delivery) or find any funeral service. We work with local florists and flower shops to offer same day delivery. You will find budget sympathy flowers in Atascadero here. Our funeral flowers are cheap in price but not in value.